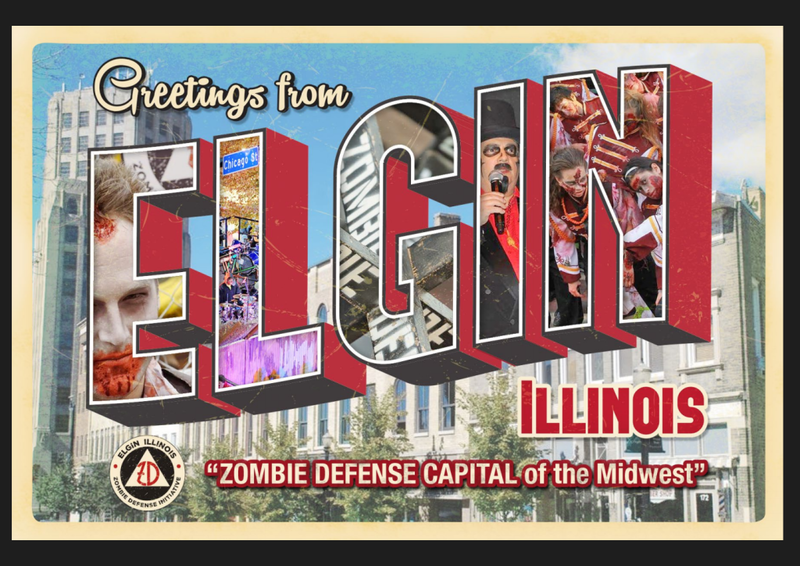 If you live in Chicago or Cleveland and started planning your Halloween party for October 28 or 29 several weeks back, you might be wondering now if you would have been better off choosing the 31st even though it’s a Monday. Neither of these cities has won a World Series title in several decades, so hundreds of long-suffering fans will want to follow the games on TV rather than bob for apples. The only consolation for party planners is that the series can’t end tonight or tomorrow night because each team needs three more wins to clinch. The people in Woodbridge, NJ aren’t likely to be obsessed about the 2016 World Series, but they do have an entertaining event coming up tomorrow night that will also benefit a worthy cause. That’s when The Smithereens will perform The Betty Babjak Memorial Concert, an all-ages show to honor guitarist-vocalist Jim Babjak’s late wife at The Hungarian-American Citizens Club. Original bassist Mike Mesaros will be performing with the band for the first time in 11 years, and Jim Babjak will reunite with his side project Buzzed Meg. Proceeds will benefit the Babjak Family and The Betty Babjak Memorial Fund to establish a scholarship for Rutgers students who have lost a parent to pancreatic cancer. 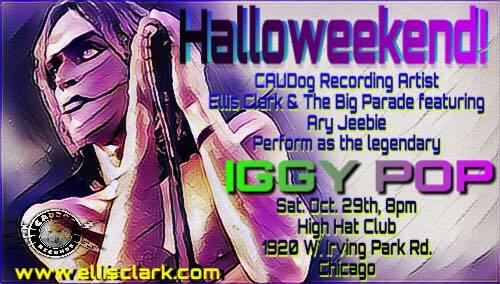 The annual Halloweekend tribute band festival returns to The High-Hat Club on Irving Park tonight and tomorrow night. Eleven acts are scheduled to cover songs by famous rock and roll artists. Long-time Halloweekend participants Androgynous Mustache will be honoring Billy Squire tonight, and other bands will perform as The Eagles, The Motels, The Mamas And The Papas, and The Psychedelic Furs. Ellis Clark and The Big Parade, with special guest Ary Jeebie, headline Halloweekend tomorrow night, with a set of Iggy Pop songs. The Webstirs will serve up Three Dog Night, and other local bands will be play Fleetwood Mac, The Lemonheads, Bow Wow Wow, and Gang Of Four. According to Peter Margasak's article in this week’s Reader, Elvis Costello and The Imposters will concentrate on Costello’s groundbreaking 1982 album Imperial Bedroom when they perform at the Chicago Theatre tomorrow night. The Beatles - Eight Days A Week - The Touring Years, Ron Howard’s Beatles documentary will be shown at the Gene Siskel Film Center downtown twice on Friday, November 4, and then once each day until Thursday, November 10. The film will be paired with 30-minute documentary The Beatles Live At Shea Stadium. Foundation Of Music’s 28th Annual Rock For Kids Auction takes place next Friday at Park West in Chicago. WXRT morning drive air personality Lin Brehmer will once again serve as emcee, and former XRT Program Director Norm Winer will receive the Foundation Of Music’s Crystal Brick In The Wall award from MTV VJ Alan Hunter. Attendees will also have an opportunity to bid on rare items donated by musicians, sports figures, and other celebrities. The Blue Whiskey Independent Film Festival will be holding a fundraiser next Saturday at Smith Street Station (next to Durty Nellie’s) in Palatine next Saturday. Admission is $20. New City, the bi-weekly Chicago free publication has switched to a smaller though more glossy format for its annual Best Of Chicago Issue. There’s a new arts-oriented free publication called The Seen - Chicago’s International Journal Of Contemporary & Modern Art. Nice to see Stephanie Cristello, formerly with the online Chicago Art Machine publishing empire, serving as The Seen’s editor. I still have fond memories of working with Kathryn Born, Robin Dluzen, and Cristello at Chicago Art Machine a few year back. Since it folded, all three writers have remained active on the local arts scene. The Urban Outfitters chain has gone old school with its For The Record music newsletter; using a large printed format with lots of color photos and writer Kim Kelly’s feature store about Bryan Ray Turcotte’s collection of punk band gig flyers. It’s available in Urban Outfitters stores. The list of this year’s releases for its Black Friday event is now available on the official Record Store Day site. The one-day event will see limited-edition vinyl rarities from The Kinks, The Bangles, The Beach Boys, Jethro Tull, The Cars, Iggy And The Stooges, The Monkees, The Raconteurs, The Ramones, The Rolling Stones, The Paul Butterfield Blues Band, The Turtles, The Fleshtones, The Yardbirds, Big Star, and Billy Idol. I’m hoping to post more on Black Friday Record Store Day as the event gets closer. The deadline for filmmakers to submit their work to the 24th Annual Chicago Underground Film Festival is December 1, 2016. The fest will run from May 31 to June 4 in 2017. Tickets went on sale today for the David Bowie tribute band Sons Of The Silent Age’s January 15 gig at Metro. It will be part of the Tomorrow Never Knows Festival. 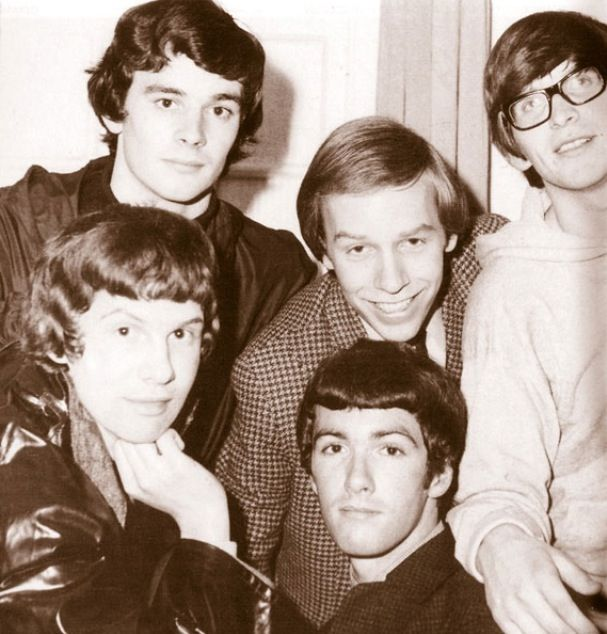 The Zombies will celebrate the 50th Anniversary of their Odessey And Oracle album with a tour in 2017. They’ll be at Thalia Hall in Chicago’s Pilsen neighborhood on April 13. Hopefully, this iconic British Invasion band will have been inducted into The Rock And Roll Hall Of Fame by then. Congratulations to Kym Brunner, co-leader (with Cherie Colyer) of the writers group I’ve belonged to for several years, on the release of her latest Young Adult novel. Flip The Bird comes out on November 1. Graphic from the Tributosaurus Facebook page. There’s good news for Chicagoans who missed director Ron Howard’s Beatles documentary during its recent run at The Music Box Theatre. The Beatles - Eight Days A Week - The Touring Years will be shown at the Gene Siskel Film Center downtown twice on Friday, November 4, and then once each day until Thursday, November 10. The film, which is just about two hours long, includes rare live performances of John, Paul, George, and Ringo from 1963 through 1966. Although some critics have complained that Howard didn’t dig deep enough into the band members’ personalities or their thornier issues, it’s generally agreed that the concert footage is amazing. The 30-minute The Beatles Live At Shea Stadium will be screened along with The Beatles - Eight Days A Week - The Touring Years. Tickets go on sale tomorrow at 10:00 a.m. for a pair of Beatles Project shows by Tributosaurus. 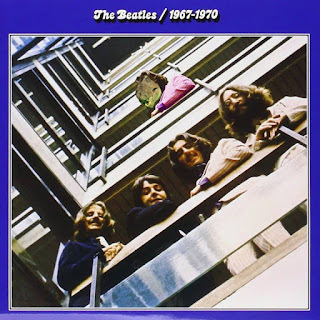 The critically acclaimed tribute band will perform The Beatles 1962 – 1966 (The Red Album) on December 9 and 1967 – 1970 (The Blue Album) on December 10 at The Copernicus Center on Chicago’s northwest side. Tributosaurus has honored Bruce Springsteen; Michael Jackson; Crosby, Stills, Nash and Young; Tom Petty; and several other famous acts, but appears to have a special fondness for The Beatles. A live orchestra will be on hand for songs like “A Day In The Life” and “Hey Jude.” As with past Tributosaurus Beatles-related shows, partial proceeds from the Red Album and Blue Album shows will benefit the Betty Hemmert Music Scholarship Fund. Betty Hemmert was WXRT DJ and Breakfast With The Beatles host Terri Hemmert’s mother. 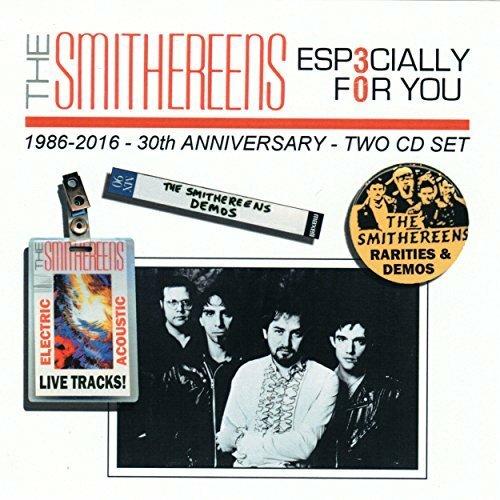 The Smithereens celebrate the 30th Anniversary of their full-length debut Especially For You a big way with this recently released two-CD set. Assorted live, acoustic, and demo versions the original 12 songs are presented over 47 tracks (along with two rarities), and each provides a unique perspective on how the New Jersey-based band creates its catch power pop music. In order to give enough space to this ambitious effort, I’m posting a review of each disc. Disc 2 will be reviewed in the near future. The live versions on Disc One were recorded at well-known clubs between 1986 and 1994. You can hear the crowd at The Bottom Line in New York clapping along as bassist-vocalist Mike Mesaros improvises a bit before launching into the ominous intro of “Blood And Roses.” The melancholy “Alone At Midnight,” recorded at that same show, has an impressive instrumental coda led by guitarist Jim Babjak. Other live highlights include “I Don’t Want To Lose You,” recorded at Chicago’s Cabaret Metro; “Behind The Wall Of Sleep” at the Los Angeles House Of Blues, and “In A Lonely Place,” recorded at The Roxy in L.A.
Chrissie Hynde has gone back to releasing albums as The Pretenders again. Alone became available today in LP, CD, and digital formats. The 12-track effort is a mix of hard-edged and more intimate material, with Hynde’s vocals as evocative as ever. I’ll be looking to review this one in the near future. The Smithereens will perform The Betty Babjak Memorial Concert, an all-ages show to honor guitarist-vocalist Jim Babjak’s late wife, next Saturday, October 29 at The Hungarian-American Citizens Club in Woodbridge, NJ. Original bassist Mike Mesaros will be performing with the band for the first time in 11 years, and Jim Babjak will reunite with his side project Buzzed Meg. Proceeds will benefit the Babjak Family and The Betty Babjak Memorial Fund to establish a scholarship for Rutgers students who have lost a parent to pancreatic cancer. A list of nineteen 2017 Rock And Roll Hall Of Fame nominees were announced earlier this week. Classic rock, funk, techno, vintage soul, folk, grunge, prog, rap, garage, new wave, disco, alternative, and British Invasion are all represented. My first choice is The Zombies, followed by The Cars. You could make a case that most of possible inductees were successful and had a noticeable influence on their chosen genres. The other acts are Bad Brains, Chaka Khan, Chic, Depeche Mode, Electric Light Orchestra, J. Geils Band, Jane's Addiction, Janet Jackson, Joan Baez, Joe Tex, Journey, Kraftwerk, MC5, Pearl Jam, Steppenwolf, Tupac Shakur, and Yes. Fans can vote for their top five choices on the official Rock And Roll Hall Of Fame site. Thinking outside the box. There was an opening reception from 6:00 to 10 p.m. tonight for Project Onward’s Annual Cardboard Show. The exhibition, which is co-presented by The Birdhouse Museum of Bridgeport, features artwork created on cardboard by Project Onward artists and other artists from around the city. Project Onward is a nonprofit art studio and gallery for professional artists with mental or developmental disabilities. Half of the proceeds from each sale will benefit Project Onward. The gallery is located at 1200 W. 35 Street in Chicago. Graham Nash has a successful new solo album out, and he’ll picking up some accolades for his photography. According to the online ABC Radio News, Nash will receive the Double Exposure Award at this year’s Lucie Awards in New York this Sunday, and next Friday, he’ll be inducted into the International Photography Hall Of Fame at a ceremony in St. Louis. Flat Out Good. Members of the veteran Chicago-based band Flat Five will be discussing their debut It’s A World Of Love And Hope with host Richard Milne on this Sunday night’s edition of Local Anesthetic on WXRT. On last week’s show, Milne described the album as one of the best he’s heard all year. Rock critic Peter Margasak echoes that sentiment in a profile he did on Flat Five in this week’s edition of The Reader. The group’s breezy sound evoke Sergio Mendes and Brazil 66 at times, but from what I’ve read, there are other intriguing elements at work here as well. Moods For Moderns on State Street. Elvis Costello will be in town next next Saturday, October 29 for a concert at the Chicago Theatre. Theatre Nebula's production of The Rocky Horror Show continues this weekend at Cutting Hall in Palatine and wraps next Saturday, October 29. Elsewhere on the Rocky Horror scene, Reggie’s in the south Loop will offer a production of the show, with singer JC Brooks as Frank-N-Furter. A new production of The Rocky Horror Picture Show starring Laverne Cox as Frank-N-Furter aired on the Fox channel last night drew mixed reviews in Chicago’s Tribune, Sun-Times, and Redeye newspapers. Critics praised Cox as an effervescent performer but felt she wasn’t right for the provocative role immortalized by Tim Curry. That vagabond seasonal bash Halloweekend returns to The High-Hat Club on Irving Park next Friday and Saturday. A total of 11 acts are scheduled to offer tributes to famous rock and roll artists. Some of the fest’s best-known participants aren’t on board this year, but there are some long-time favorites like Ellis Clark, The Webstirs, and Androgynous Mustache involved. Local bands will be honoring The Psychedelic Furs, Mamas And Papas, Billy Squier, The Motels, and The Eagles on Friday; and Iggy Pop, Three Dog Night, Fleetwood Mac, The Lemonheads, Bow Wow Wow, and Gang Of Four on Saturday. For those who live in England or might be traveling there in mid-December, a Psychedelic Christmas Experience! event awaits you at the Unit23 Live club. Invisible Opera Company Of Tibet and Honey Pot featuring ethereal vocalist Crystal Jacqueline will be performing, and radio personality Marrs Bonfire will serve as host. I reviewed a single by Crystal Jacqueline And The Honey Pot on the Fruits de Mer label back on February 18, 2014 and found it properly mindbending. In other U.K. news, The Severed Limb announced on Facebook they’ll be releasing a single titled “Bela Lugosi” in the near future. 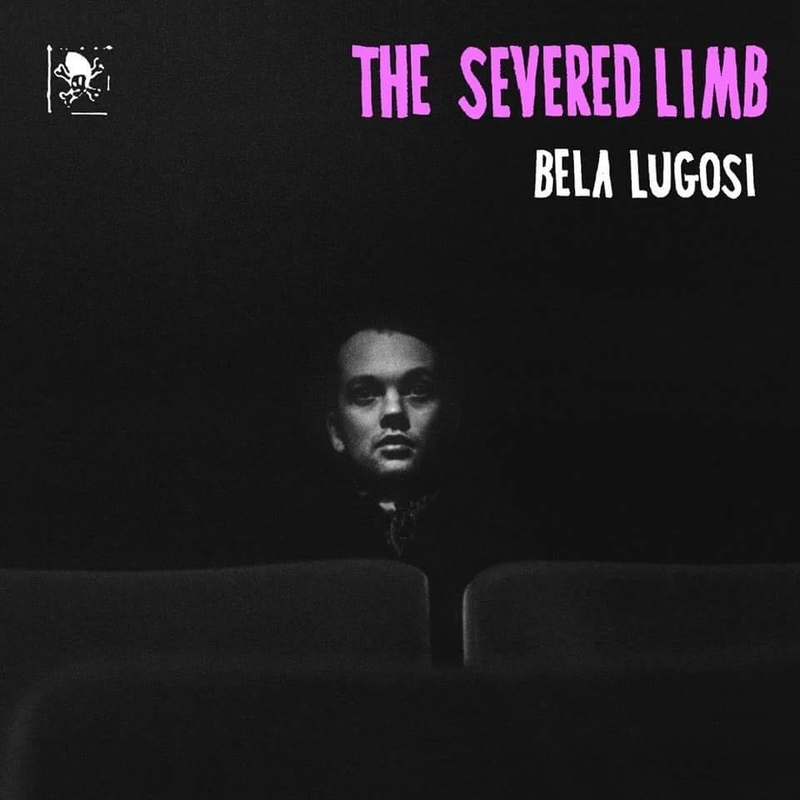 The skiffle band’s song “The Severed Limb” is one of my Halloween favorites. Halloween Song: The Smithereens - "Blood And Roses (Voodoo)"
Halloween music can range from garage rock party songs to ethereal Celtic ballads; and from ominous to silly. 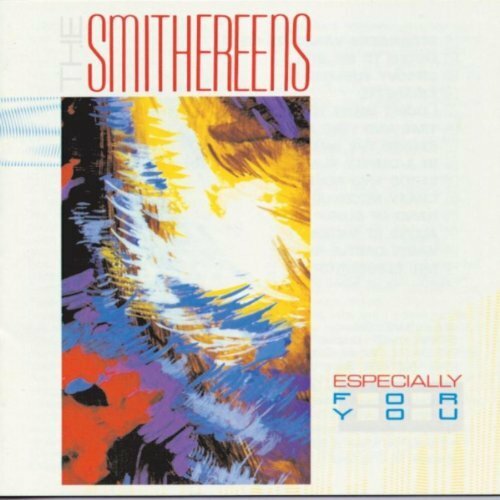 “Blood And Roses” brought national attention to The Smithereens in 1986 when it was one of several gems on the band’s debut effort Especially For You. The ominous bass playing from Mike Mesaros immediately establishes dramatic tension, and then vocalist Pat DiNizio depicts a relationship shattered by the inability to express or accept love. There’s nothing explicitly scary about DiNizio’s lyrics, but they create a sense melancholy and dread as they’re woven through the guitar-driven arrangement. 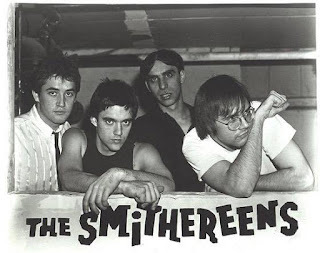 Those who’ve heard The Smithereens cover The Who’s “Behind Blue Eyes” in concert might have noticed an emotional connection between that song and “Blood And Roses.” It would be interesting to know if that was DiNizio’s goal. There are six different versions of “Blood And Roses” on ESP3CIALLY F0R YOU, the recently released two-CD 30th Anniversary edition of the band’s first album. There are a couple blistering live versions with extensive jamming; an acoustic performance, and some demos. “Blood And Roses (Voodoo)” offers a different perspective. Though the arrangement packs its original punch, DiNizio and (I’m assuming) Mesaros, guitarist Jim Babjak, and drummer Dennis Diken add some goofy primitive grunting that eventually morphs into chants of “Voodoo!” Purists might balk at such nonsense, but a lot of Smithereens fanatics are likely to find this a fun alternative that also serves as Halloween music that somehow bridges the gap between ominous and silly. Saturday, October 29 will be this year's unofficial Halloween celebration night, with lots of parties in bars and homes. Here are some outer-space alien song profiles from previous years to put everyone in a fun, spooky mood. 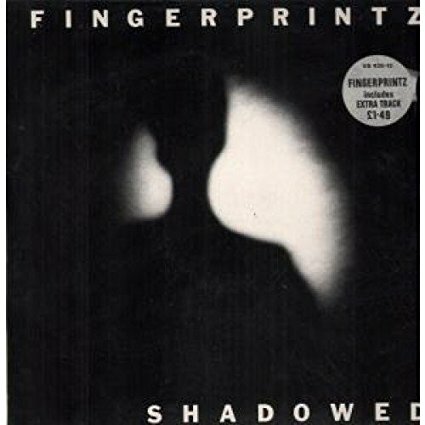 Fingerprintz - “Shadowed” The English band Fingerprintz zipped through a variety of genres during a brief career that lasted from 1979 to 1981, but one thing that remained constant was lead singer-guitarist Jimme O’Neill’s penchant for matching disturbing lyrics with catchy melodies. "Shadowed," from the aptly titled Beat Noir, offers intergalactic espionage set to a pulsating dance club arrangement. There’s a breathless chase down dark streets involving “an alien presence” and our hero: “Outside forces, foreign bodies in the atmosphere/I’ve got to shake them off and rub them out and get away from here.” Guitarist Cha Burnz throws in one of his distinctive solos, and O’Neill’s echo-laden vocals evoke U2, especially if Bono had been into comic books and sci-fi movies. Phil Angotti - “I See Spaceships” Taken from Chicago-based singer-guitarist Phil Angotti’s Life and Rhymes CD, "I See Spaceships" simultaneously evokes The Byrds and The Who while spinning a tale of intergalactic visitors who love to party. Backed by Casey McDonough on bass and Brad Elvis on drums, Angotti sings, “I’ll tell you my story but you won’t believe me” as the song kicks off. He goes on to describe how the little green men who crash-landed their saucer in his garden are now driving his car, and staying up late to party. Angotti, a 1960s fanatic, specifies that these Martians are listening to LPs and watching movies. They’re also often intoxicated, which might explain why their calls for help to their planet have gone unanswered. A hearty welcome to everyone who's visiting Chicago this weekend; whether it's for the Cubs/Dodgers National League Championship series, the Chicago Film Festival, or just to check out the city's multitude of cultural events and festivities. Mono is going around. The Rolling Stones recently released their Mono box set; The Hollies re-released their 1960s Evolution and Butterfly albums on 180-gram vinyl in mono and stereo, and now The Kinks are getting in on the act. 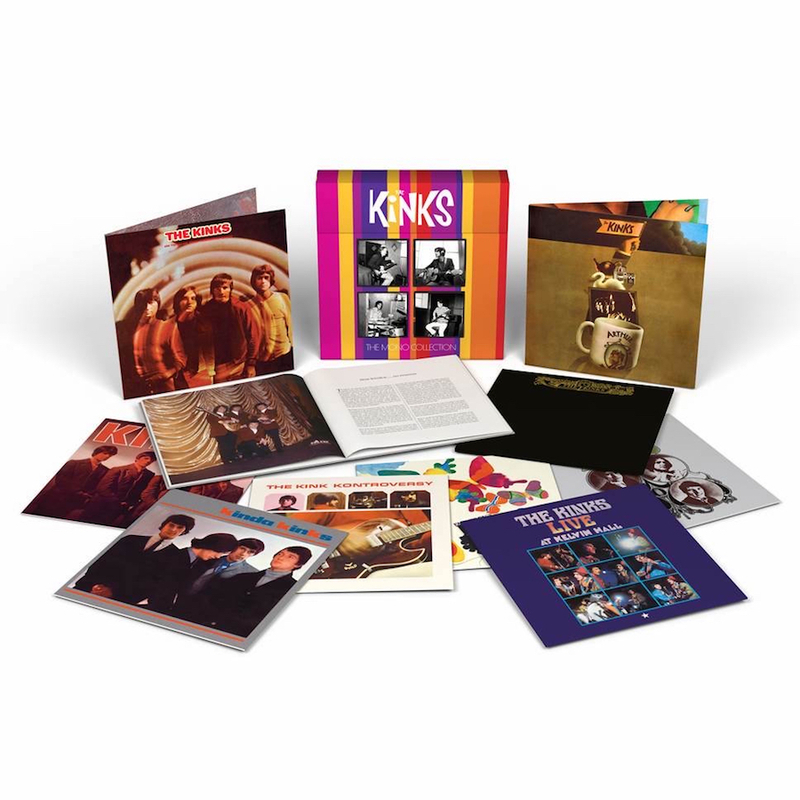 According to the Second Disc website, The Kinks – The Mono Collection—due in December—will offer 10 LPs on 180-gram vinyl, including the 1967 Live At Kelvin Hall. A 48-page book with rare photos is also part of the package. Open House Chicago will offer tours of famous buildings in various neighborhoods tomorrow and Sunday. 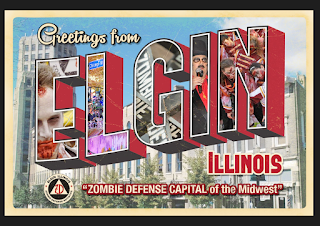 The behind-the-scenes opportunities include Zap Props in Bridgeport; The Forum in Bronzeville; the University Of Chicago Quadrangle Club in Hyde Park; the Elks National Memorial in Lincoln Park; Palette And Chisel Academy in the Gold Coast; the Athenaeum Theatre in Lakeview; the Northwestern University Charles Deering Library in Evanston; and the Portage Theater in Portage Park. Check the Open House Chicago website for the full list. As the late Yogi Berra used to say, "It's deja vu all over again." WXRT morning DJ Lin Brehmer and news anchor Mary Dixon will be broadcasting live from Wrigley Field tomorrow, from 10:00 a.m. to 2:00 p.m. They did their show from the iconic baseball park last Friday when the Cubs opened their 2016 post-season run against the San Francisco Giants. The Cubs play the Los Angeles Dodgers tomorrow night. "Just Your Fool," the first single from The Rolling Stones' upcoming album Blue And Lonesome suggests the band has successfully tapped into its blues roots. 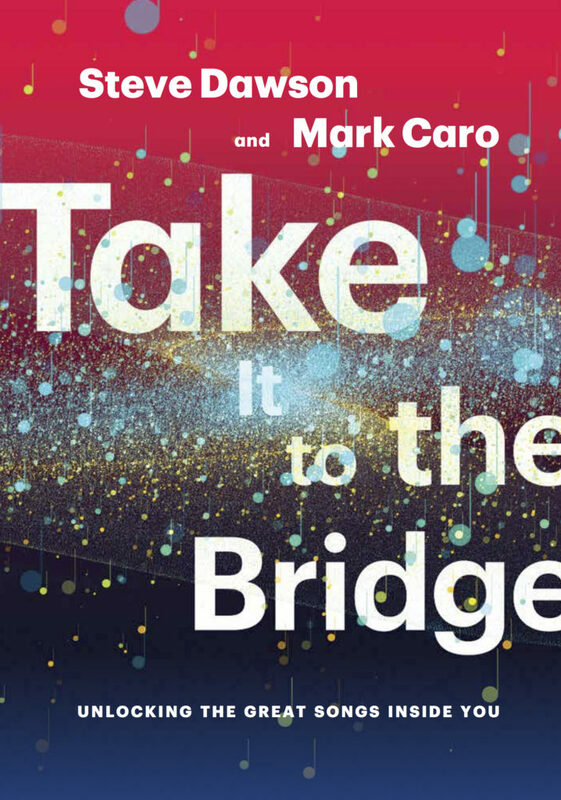 Musician Steve Dawson, who has garnered critical acclaim as a member of the alt rock/country band Dolly Varden as well as for his solo career, will join writer Mark Caro in presenting Songs, Stories and Creative Sparks at SPACE in Evanston tomorrow afternoon. 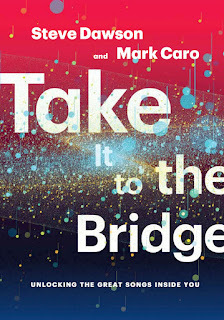 The 1:00 p.m. event will feature them discussing and reading from the new book they've written together, Take It To The Bridge: Unlocking The Great Songs Inside You. It's only a week until the new Pretenders album Alone comes out via iTunes, in CD and LP formats, as well as in a signed CD/LP with litho print combination. Just don't pawn it, babe. Congratulations to Bob Dylan on being awarded this year's Nobel Prize in Literature for "having created new poetic expression within the great American song tradition." In other rock star accolade news, Rod Stewart was knighted by Prince William at Buckingham Palace this past Tuesday. Archie Powell and The Exports will be bringing fresh material with them when they play the Burlington bar in Lincoln Park on Monday, November 7. Personally, I hope the new songs are in the clever, power pop vein of their first few albums rather than the angst-filled hard rock of their last album Back In Black. Theatre Nebula's production of The Rocky Horror Show opens tomorrow night at Cutting Hall and runs through October 29. If you catch a Metra train to Palatine, Cutting Hall is just a blocks away from the station. Pre-show dining options includes Durty Nellie's, Tap House Grill, and Emmett's Brewing Company. 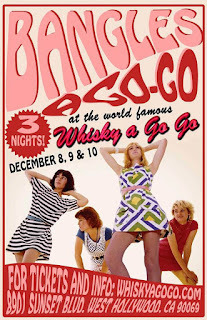 The Bangles will be involved in some impressive double bills during a three-night stand at The Whiskey A Go Go in Hollywood, CA. 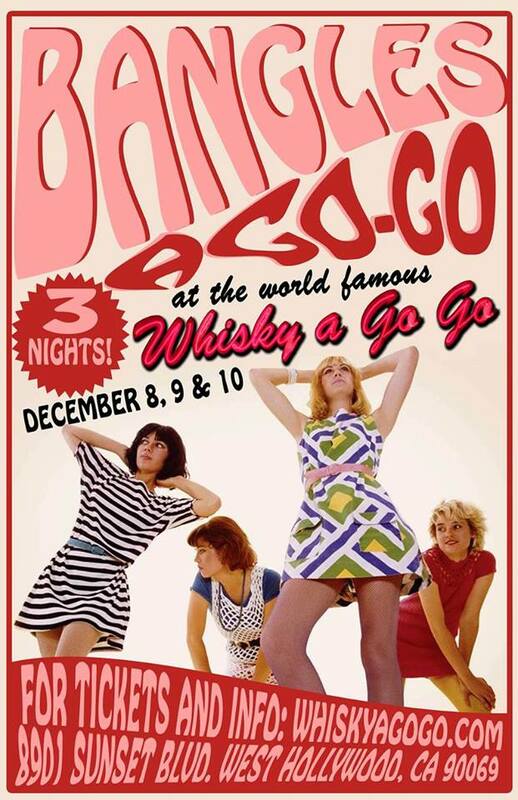 On December 8, they'll be joined by The Pandoras, on December 9, it's The Last, and on December 10, it's The Muffs. A hearty welcome to everyone who's in town for the Chicago Marathon or the post-season match-up of the Chicago Cubs and San Francisco Giants at Wrigley Field. The Second Disc website recently reported on the upcoming Parlophone Records release Legacy, a two-CD set featuring 40 David Bowie tracks. "Space Oddity,""The Jean Genie," "China Girl," "Ashes To Ashes," and "Young Americans" will be included, along with some of his most recent songs. The career-spanning collection will be available on November 11. The Hideout, one of Chicago's better-known clubs, is holding its annual Flea Market this Sunday from 10 a.m. to 4:00 p.m. at 1354 W. Wabansia. The rock and roll-flavored event will include vinyl records, clothing, musical instruments, and accessories. The Smithereens will perform The Betty Babjak Memorial Concert, an all-ages show to honor guitarist-vocalist Jim Babjak's late wife, on October 29 at The Hungarian-American Citizens Club in Woodbridge, NJ. Original bassist Mike Mesaros will be performing with the band for the first time in 11 years, and Jim Babjak will reunite with his side project Buzzed Meg. Proceeds will benefit the Babjak Family and The Betty Babjak Memorial Fund to establish a scholarship for Rutgers students who have lost a parent to pancreatic cancer. There will be no cover charge tomorrow night when Chicago alt-rock band Whitewolfsonicprincess performs at Phyliss' Musical Inn on Division Street. Steve Gilpin and The Hens are also on the bill. 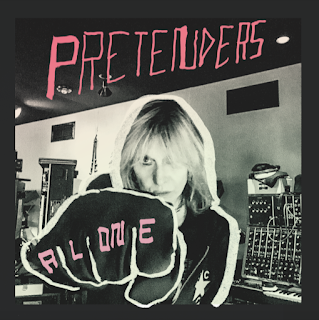 The new album Alone from The Pretenders will be available on October 21 via iTunes, in CD and LP formats, as well as a signed CD/LP with litho print combination. Reap The Wild Wind on Lincoln Avenue. Former Ultravox frontman Midge Ure will be performing with his current band on Wednesday, October 11 at Martyrs'. The Mixture and DJ Scary Lady Sarah are also on the bill. There's an opening reception next Thursday, October 12, at the Awakenings Gallery on Ravenswood for Graphic Relief, a new art exhibit that recruited cartoonists to condemn sexual harassment. Ten artists will be showing their work. There's an article by Aimee Levitt about Graphic Relief in the Arts and Culture section of this week's Reader. Get your tickets before all of the good ones are taken. Ian Hunter and The Rant Band will be doing gigs at City Winery Chicago this coming Tuesday and Wednesday. Hunter's brand new album Fingers Crossed has been getting airplay on Little Steven's Underground Garage syndicated radio show. The Cubs have just won their first game against the Giants as I'm finishing up this post. Nobody could ever accuse WXRT morning man Lin Brehmer of being a fair-weather fan when it comes to the Chicago Cubs. Over several years, he has joyously hosted the station's annual Opening Day Broadcast from a Clark Street tavern, even on cold April mornings when there was no hope the season would bring a winning record, let alone a championship. With assistance from morning news anchor Mary Dixon, fellow XRT personality Marty Lennartz, and assorted live bands, he would serve up sports, comedy bits, and rock music like a master chef. Then the last two years came along, and as if heaven was rewarding him (and countless other long-suffering Cub fans) for his martyr-like endurance, the Cubs became serious contenders. Plus, Brehmer, Dixon, and company have once again been invited to broadcast live from Wrigley Field itself. It happens tomorrow morning, on the same day the Cubs will open the 2016 post-season against the San Francisco Giants. They won't be squeezing any bands into the broadcast booth, but Lennartz and Cubs announcer Len Kasper (who does the twice-weekly feature Len and Lin feature on XRT) will be on hand as Brehmer spins some of his favorite tunes from the massive XRT progressive rock library and waxes philosophical about his beloved baseball team. 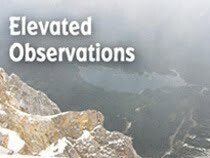 The show airs from 6 to 10:00 AM.